The shorts typically show up on the home video releases of the movies they’ve accompanied, but Pixar has been good over the years about bundling them onto discs with shorts they’ve created for other outlets. 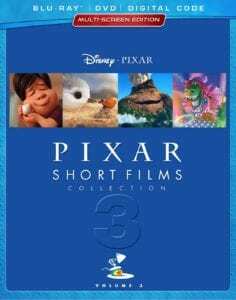 Pixar Short Films Collection Volume 3 assembles everything they’ve put out since Volume 2 was released in 2012. 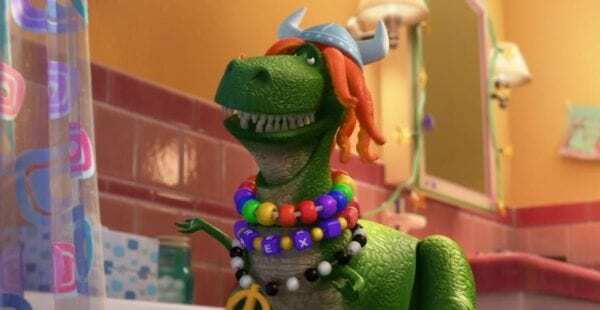 Partysaurus Rex: This Toy Story tie-in screened ahead of the 3D version of Finding Nemo that was released in 2012. Set after the events of Toy Story 3, this short features Rex getting stuck in the bathroom and befriending the toys there. The Legend of Mor’du: Included with the home video release of Brave, this short is a prequel that tells the back story of the evil prince who was transformed into a bear. The Blue Umbrella: Released with Monsters University, this short follows the Pixar tradition of anthropomorphizing inanimate objects. In this one, a blue umbrella becomes smitten with a red umbrella he encounters on a busy, rainy city street and hopes to reunite with her. Party Central: Taking place after Monsters University, this short about Mike and Sulley helping Oozma Kappa throw a successful party hit theaters with Muppets Most Wanted. The Radiator Springs 500 ½: One of many Cars-related shorts, this one features a group of Baja racers challenging Lightning McQueen to a race. It originally debuted on the Disney Channel. Lava: Released with Inside Out, this is the tale of a lonely volcano that sings songs and vents its lava into the ocean, where it makes contact with an undersea volcano that returns its affection. Sanjay’s Super Team: A young boy imagines that the Hindu gods are superheroes. This one was released with The Good Dinosaur. Riley’s First Date? : Included with the home video release of Inside Out, this short features the emotions of Riley’s parents when they suspect that their daughter, now 12, is going out on a date with a boy who was seen briefly at the end of the movie. Piper: Issued with Finding Dory, this Oscar-winning short is about a baby sandpiper learning to overcome her fear of water. Marine Life Interviews: Lifted from the home video release of Finding Dory, this is a series of interviews with the inhabitants of the Marine Life Institute about their encounters with Dory. Lou: Shown before Cars 3, this one is about a creature assembled from the unclaimed items in a lost-and-found box on a kindergarten playground. Miss Fritter’s Racing Skool: Included with the home video release of Cars 3, this short takes place shortly after the movie and features a commercial about a new racing school whose owner claims to have trained Lightning McQueen and Cruz. 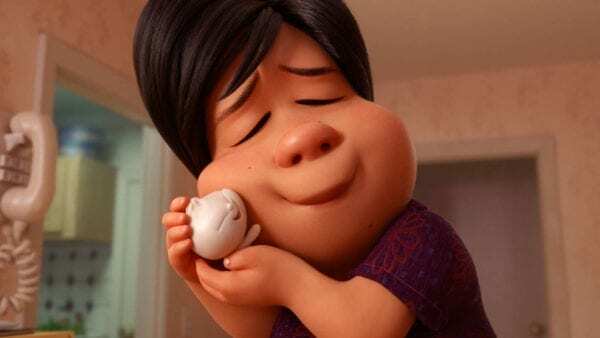 Bao: Shown before Incredibles 2, this is about an elderly Chinese-Canadian woman who loves to make dumplings and discovers that one of them has given her a second chance at motherhood. My favorite Pixar shorts are the ones that take roads less traveled and dispense with feature film tie-ins. Since its earliest days as part of Lucasfilm, before it was even called Pixar, John Lasseter and his crew have made brilliant little slices of character study, such as Luxo Jr., which debuted the company’s lamp mascot. Lasseter may be gone (and deservedly so), but he left behind a legacy that will continue for many years to come. Among the shorts on this new disc, I love The Blue Umbrella and Piper for their dazzling, water-soaked environments and simple stories. Sanjay’s Super Team is a sweet story about a young boy merging the culture of his parents with the culture of his childhood in a different country. And Bao is a lovely tale about kids growing up, moving away, and coming back to reconcile their differences with their parents. Each of the shorts also features an introduction from the director as well as a commentary track with that person and, on most of them, other folks who worked on it too. The tracks are a nice opportunity to hear from folks who don’t normally get much attention on Pixar’s home video releases, since the feature films are made by people higher up the ladder at the company. 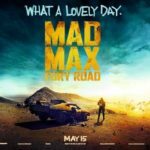 Pixar is brimming with talented creators, though, and hopefully some of them will get their shots at feature filmmaking eventually. Making Bao (6 minutes): Also included in the home video release of Incredibles 2, this features writer/director Domee Shi talking about how her childhood inspired the story. Caricature: A Horrible Way of Saying “I Love You” (4 minutes): The Pixar crew has a tradition of drawing caricatures of each other, including evening bonding sessions where the goal is to make the most grotesque caricatures possible. This piece briefly covers that. This edition also includes the shorts on a DVD, along with a code for a digital version that has everything on the Blu-ray disc.